"...he looks a pattern-race performer in the making..."
A most intriguing handicap with Astronomer the selection. He showed further improvement to complete a hat-trick in decisive fashion at Listowel five days ago, travelling fluently and staying on well to prevail by seven lengths, and he looks a pattern-race performer in the making. Saracen Knight remains unexposed and is likely the choice of Donnacha O'Brien, while smart hurdlers Sharjah and Limini add further spice to the race. Madhmoon looked something out of the ordinary when making a winning debut over C&D 30 days ago, showing a good turn of foot to settle the race late on. That form has substance and he is fancied to make a bold bid to maintain his unbeaten record up in grade. 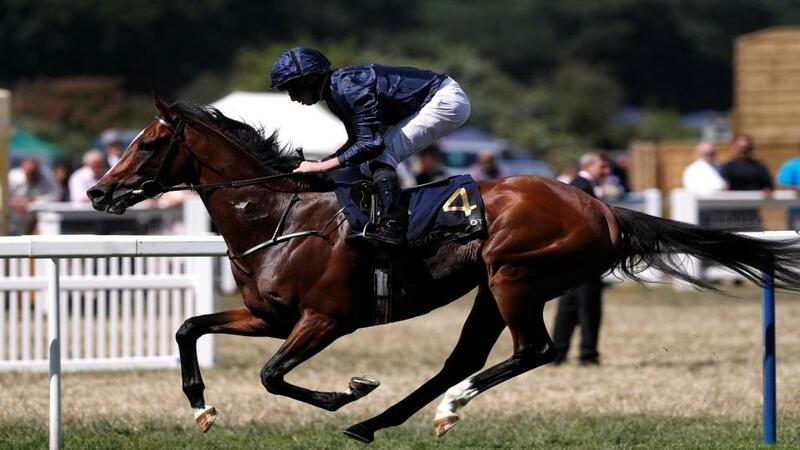 Aidan O'Brien holds a strong hand, though, and his pair Broome and Sydney Opera House may emerge as the chief threats. Psychedelic Funk looked better than ever when defying a penalty to win a Group 3 at Naas back in April, the blinkers continuing to have a positive effect. He has the tongue strap added today and, though it is a little disconcerting we haven't seen him since, his record fresh stands him in good stead, and the yard are in good form, too. Aidan O'Brien holds a strong hand, notably with Kenya and I Can Fly.